With boat docks all around Lake Nacimiento gone dry from a heavy flow of reservoir water releases this year, lake property owners have stepped up their fight against the agency behind it. LAKE FIGHT A group representing Lake Nacimiento property owners has hired an attorney to explore a legal solution to a dispute with Monterey County Water Resources Agency over the amount of water released via the reservoir dam. A group representing Nacimiento residents, homeowners, and visitors has retained a water attorney and a team of hydrologists to explore a "legal remedy" to the Monterey County Water Resources Agency's current water release schedule—which it's called unprecedented and harmful to the lake economy. "Most of the docks are dry. It gets dangerous," said Don Bullard, president of the Nacimiento Regional Water Management Advisory Committee (NRWMAC). "The lake gets so narrow, with wake boarders in the lake, it's absolutely dangerous." According to NRWMAC, lake levels are usually kept no lower than 748 feet above mean sea level. But as of press time, the lake had been drained, through the Nacimiento dam, to 734 feet—or 27 percent capacity. Monterey is currently releasing 360 cubic feet of water (about 2,700 gallons) out of the lake per second. "A lot of residents are extremely upset," Bullard said. 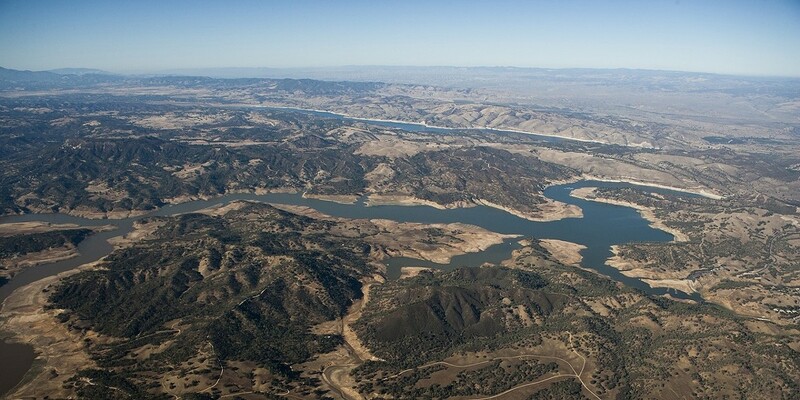 Water released from Lake Nacimiento flows into the Salinas River, which in turn supports steelhead populations, replenishes the groundwater basin, and is used for farm irrigation in the Salinas Valley. Bullard said lake residents aren't opposed to water being released for those purposes—just not at the complete expense of the lake recreation. "We're not trying to take the [water for] flood control, groundwater recharge, or irrigation," he said. "We just want [recreation] to be managed in concert with the other three." Bullard added that Monterey County has "refused to negotiate in any way" on the issue and cast aside a recent petition with more than 6,000 signatories asking for reduced water releases. NRWMAC is now soliciting donations from lake property owners to a GoFundMe campaign to help pay for the legal and hydrology experts. It's raised $40,776 as of press time. "Hopefully they'll provide us some options," Bullard said.